Wikipedia defines "Responsive web design (RWD) is an approach to web design aimed at crafting sites to provide an optimal viewing and interaction experience—easy reading and navigation with a minimum of resizing, panning, and scrolling—across a wide range of devices (from desktop computer monitors to mobile phones)"
Above are some stats that indicate there is a big need for web sites to have an integrated e-Commerce and Web Content Manage System (WCM also CMS) that are mobile friendly. 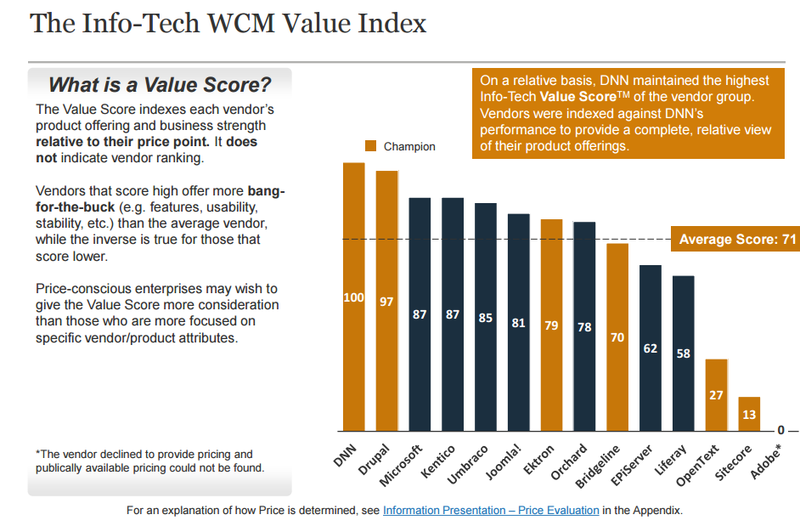 How does DNN rank against other WCM? Click here to download a study and on page 11 it ranks 100 the highest with an average of 71. Below is page 11.